Posted on November 27, 2014 by Ronald Patrick Raab, C.S.C. 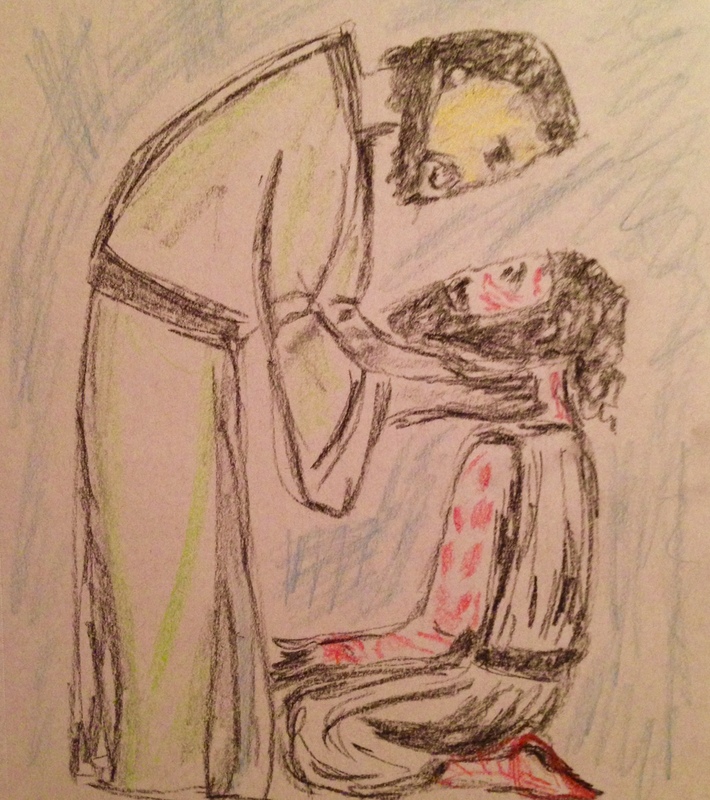 A childlike sketch of profound gratitude in the scriptures. Jesus cures the lepers. This intense, human experience of coming to Jesus with deep scars and lasting wounds is the source of our gratitude today. Salvation is a free gift. The love and healing touch of Jesus is really for us. This gospel today tells us that we stand on the soil of God’s presence, not just the soil of the United States. We tell of our freedom, not just under a flag but in the heart of Christ Jesus. We live in childlike wonder in not what we can accomplish for ourselves, but what the Risen Christ is doing within us. Gratitude is instinctual in faith, at the heart and meaning of the Eucharist not just today, but every day of our lives.